Kathleen always aimed for the stars, and 13 years ago she took on Dom Pérignon which brought her front and center with the world of sparkling. Kathleen knew that she could make a méthode champenoise to rival the best of the French. "Chalk in the soil in the Champagne region of France gives Champagne its unique nature, its acidity, and its character. Vineyards are planted only in areas that have this snowy-white limestone. The excellent drainage of this porous white chalk, its rich nutritious top layers of soil, and the auspicious microclimates of the region make growing grapes for champagne ideal. In this region near Paris, wherever there is limestone topped with soil composed of mineral deposits and fossils of ancient marine life, there are vineyards. The value of the snowy-white chalk is so high that vines are planted to the rim of most villages in Champagne. Not a chalky hectare is wasted; vines are sometimes planted right up to the back door of a shop or restaurant." In Kathleen's Vineyard she had that chalky soil ~ limestone (and only within the Westside of Paso Robles), but even more... her vineyard, alone possessed, calcium montmorillonite ~ the "wonder soil" which is limestone on steroids. She also knew that the microclimates in her mountain vineyard have no rival in France or anywhere else in the viticultural world. 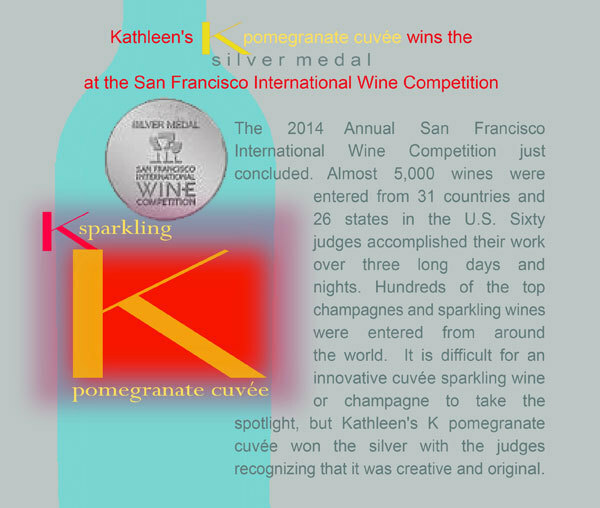 So in 2000 Kathleen set out to create “kathleen” estate sparkling wine brut cuvée méthode champenoise! Thirteen years later the proof is in the bottle for all to experience... and to behold! This traditional French method for producing sparkling wine -- méthode champenoise ~ is an intricate and labor intensive procedure and ultimately a labor of love. 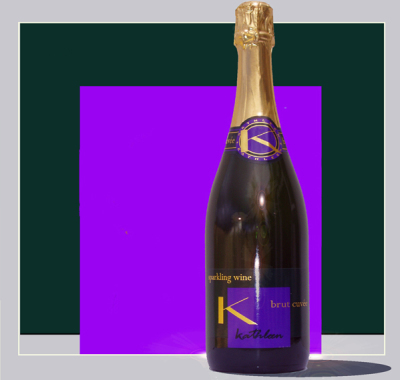 Kathleen's initial endeavor~ méthode champenoise ~ allows the second fermentation of the wine to take place in the bottle. 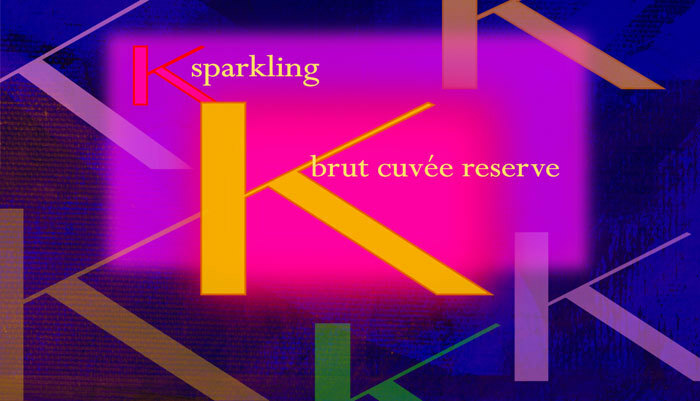 Kathleen's premiere brut cuvée sparkling wine was created in this method which she still meticulously crafts. But supply is very limited ~ let alone spending well over a decade for a bottle to faithfully evolve. Sparkling wine is Kathleen’s favorite. Yes, she is patient... but thirteen years is a titch long. So if Kathleen is to have a bit more immediacy in the fun and joy of crafting sparkling wine she would include the less time-consuming Metodo Charmat in her repertoire. 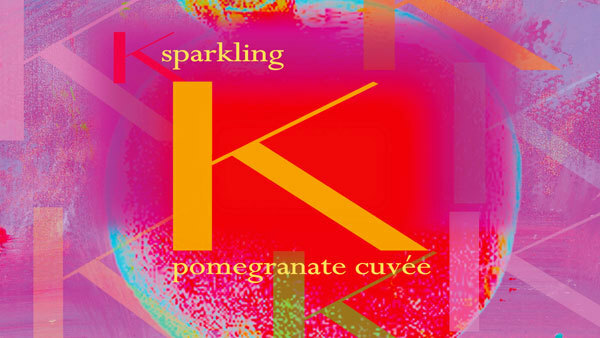 But it had to be spectacular ~ and a joy ~ so she set out to create the world's first and unique Kathleen's pomegranate cuvée, an exciting and enchanting and pretty ~ sparkling wine... living up to the timeless advice of Bette Davis (one of Kathleen's favorites): “There comes a time in every woman's life when the only thing that helps is a glass of champagne.” If Bette Davis were still with us Kathleen is convinced she would finish her thought with... a glass of pomegranate cuvée! And now citron cuvée, an eqully exciting and enchanting and pretty ~ sparkling wine. And Kathleen emphasizes, as a conscionable and pure winemker, that both her sparklngs like all her wine CONTAIN NO ARTIFICAL FLAVOR AND COLOR. Consumers now demand this with everything they eat and drink. Kathleen, almost alone, dedicated herself to this basic, classic, health-rewarding conception of wine. It is a statement that unfortunately is very rare in the world of wine. Join in the joy and bring some pomegranate cuvée home (LINK)! 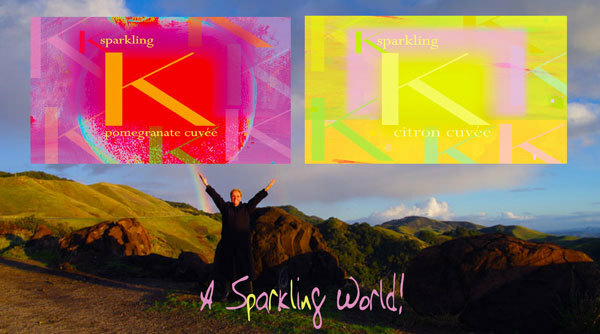 And now you can purchase kathleen's citron cuvée too! (LINK) ! 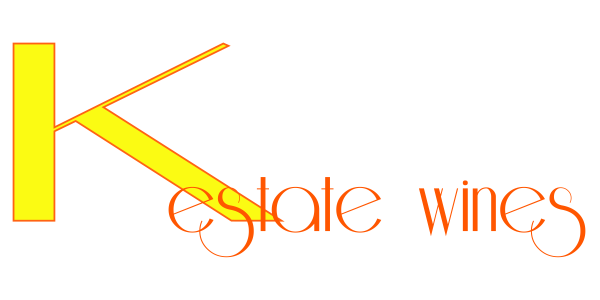 If you would rather link to kathleen, she would love to help you and tell you more!